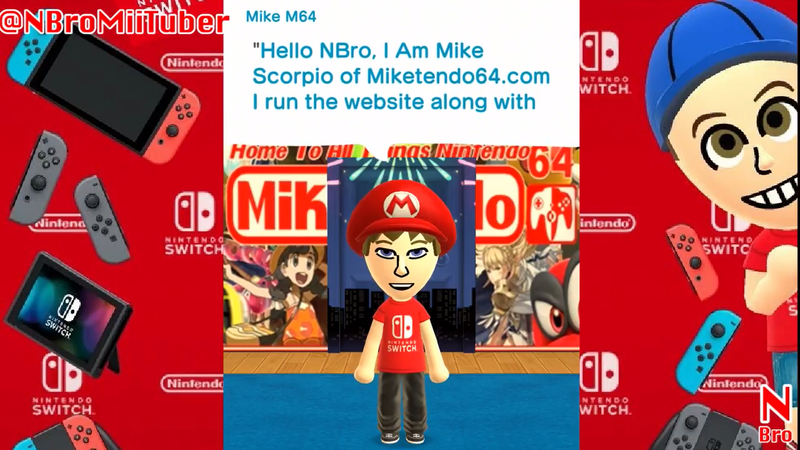 (Mike) I was fortunate to have participated in a very unique interview with NBro- The Mii Switch Tuber. His YouTube channel is dedicated to using Miitomo to create his videos. We have been following each other for a while and after watching some of his videos, I loved the idea of Miis conversing with each other and just thought it was a great concept. So after talking to him via private message, he asked me to give him my thoughts on Nintendo Labo for one of his videos. We also communicated via Miitomo as part of the interview and here is the final product! The video is in Spanish but it is subtitled in English. I am sure you will find it entertaining regardless, Enjoy! Thanks again to NBro For interviewing us for his YouTube Channel. It was great fun and we will look forward to watching all your latest videos!